Tiffany Art is Recognized by Millions and Now You Can Add Some to Your Collection with this 2 oz. Silver Coin from Palau! 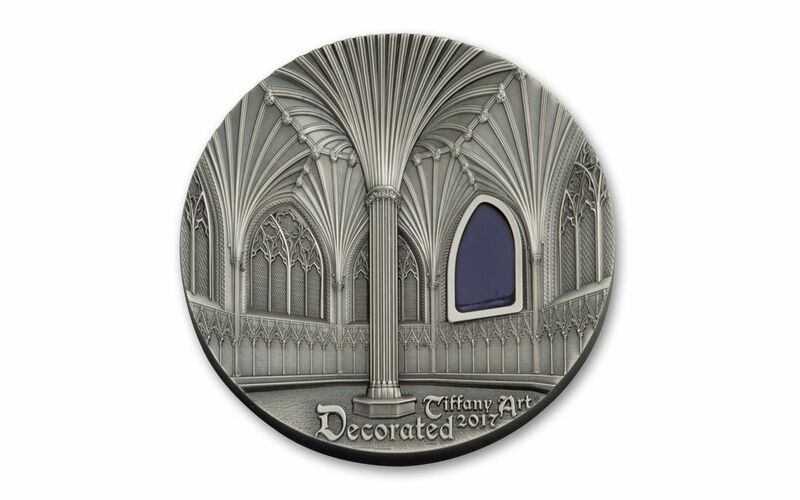 The very first coins of the Tiffany Art series were issued in 2004. Since then, these unique collectible coins have become known for their appealing combinations of Tiffany glass and stunning designs. This Tiffany Art coin was issued in 2017 by Palau. It is made of .999 fine Silver and weighs 2 troy oz. This piece has an antiqued finish and the popularity of this look certainly seems to be on the rise. Antiqued finishes tend to draw your eyes to details that may normally go unnoticed. In this case it also adds a bit more contrast against the Tiffany glass. Coin Invest Trust struck this coin. Coin Invest Trust, or CIT, is a private Mint based in Italy. Like previous designs of the series, mintage of the 2017 Tiffany Art Silver coin was very limited. Only 999 of these were struck. This mintage limit is very low, especially considering the popularity of the series. Palau’s coat of arms is displayed on the obverse. The face value is inscribed below it. 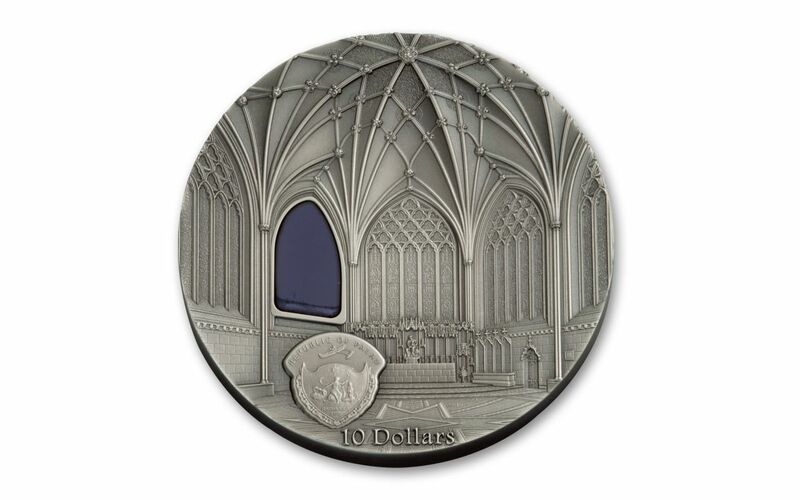 The rest of the design is filled with a view of the Wells Cathedral from the inside. The impressive architecture and generally ornate nature of the building is immediately visible. The antiqued finish helps to make the fine details really stand out. A piece of purple Tiffany glass has been placed in one of the cathedral’s windows. 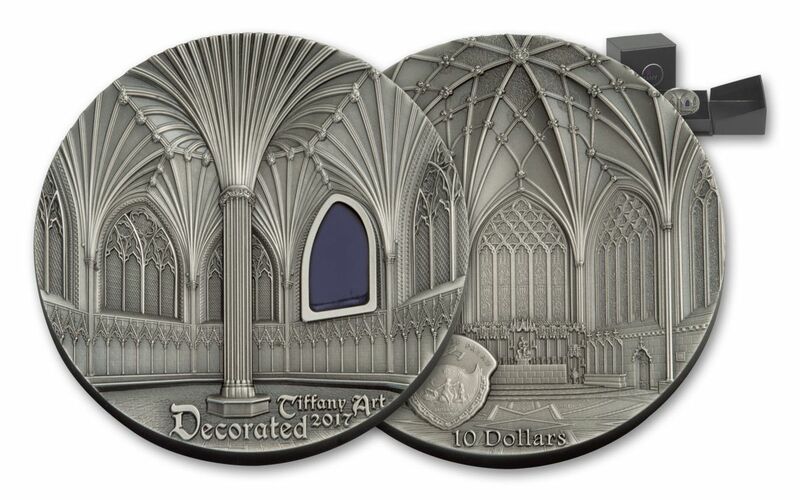 This Tiffany Art antiqued Silver coin looks the same as when it left the Mint. It is still housed in its original Mint capsule. This piece also comes with a certificate of authenticity. 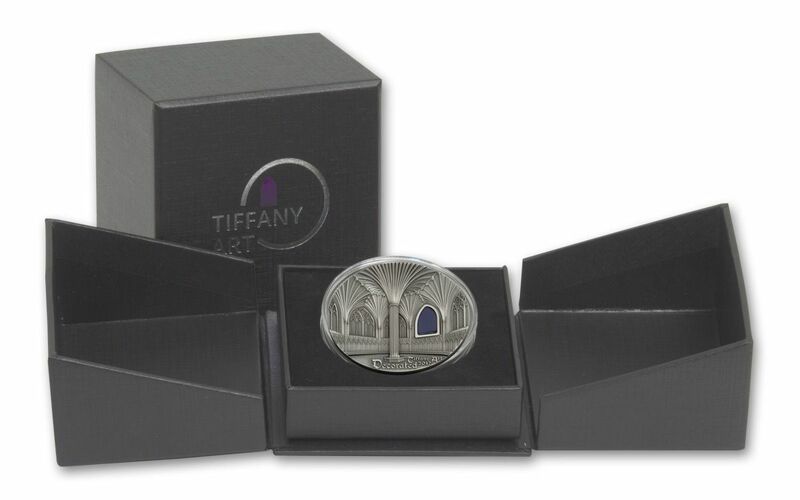 Get your 2017 Palau Tiffany Art 2 oz. antiqued Silver coin with a certificate of authenticity from GovMint.com while you can!